This utility allows you to easily set your motherboard QPI and system Voltages from within Windows to get your system running at the highest level of performance possible. EVGA E-LEET also includes a validation feature, allowing you to save a CPU screenshot and generates a unique URL, also a Brink OC feature that automatically saves a screenshot with every clockspeed increase. 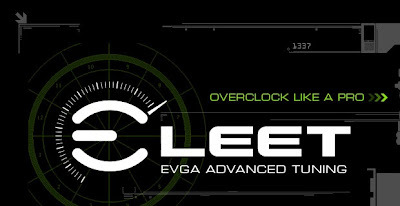 Also, the latest version now includes support for select EVGA GTX 400 series voltage tuning! Increase your voltage to maximize your overclock, or lower your voltage to decrease the operating temperatures.